Remains 5 to 14 days on skin and 6 weeks on hair. Much longer than normal eyebrow paint. Mix to each other (use the henna mixer or the applicator if it is one "soya") substance. Step 1 Make the henna which you will apply to the client and leave it so that it reaches room temperature. get as much loose, old skin cells away. Once the dead cells of the epidermis have been removed, the henna can attach to the new, smooth skin layer. Your skin seems slippery, but if you look under a microscope, he looks more like a tree bark. The outer layer, the epidermis is constantly renewing. The dead skin cells fall off. Every three to four weeks you have a completely new skin. Henna only pulls in that top layer. 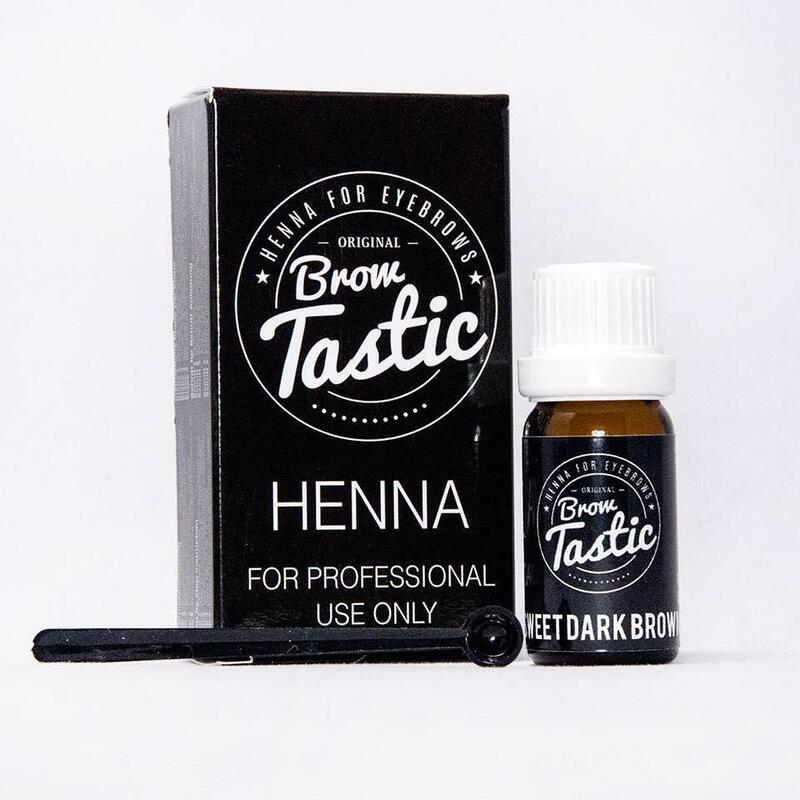 Depending on the skin type and proper aftercare, a henna treatment may be visible to the skin for up to 1-3 weeks and 6-8 weeks on the hairs (much longer than normal eyebrow paint). Step 4 Form the eyebrows, recommended to form the eyebrows after dyeing. Step 5: Apply Vaseline to protect the skin from which no paint is to be painted. Step 6 Bring the Henna, correct with the corrector. Good pressures to get the color evenly. If you work with a thinner substance then apply layer 1 and allow it to dry (about 1-2 minutes) and apply another layer. For a more intense color, apply a layer on the eyebrows. Leave Henna on eyebrows and skin for at least 20 minutes. Step 7: Fix the henna with the finishing balm.